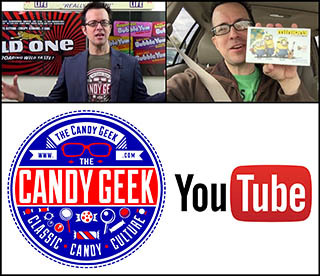 One of the aspects of collecting candy I really enjoy is that there are constantly new discoveries to be made. As a kid, I collected trading cards, but I wasn’t discovering new things so much as I was assembling my personal collection from a well-known and well-documented universe of possibilities. With candy, it’s very different. In the world of collecting candy, you turn a corner and you never know what you’re going to find. Such was the case with A-1’s, from Food Manufacturer’s, Inc. Here was something I had never heard of, but was delighted to encounter and learn about. A couple of years ago, I acquired a batch of wrappers that a woman had saved as a young girl, during the 1950’s and 1960’s. It was a lovely collection from an era of candy packaging I had only just begun to learn about, at the time. As I was going through the small pile, I pulled an unknown-yet-curiously-familiar wrapper from the stack. This A-1’s pack wrapper immediately caught my eye. 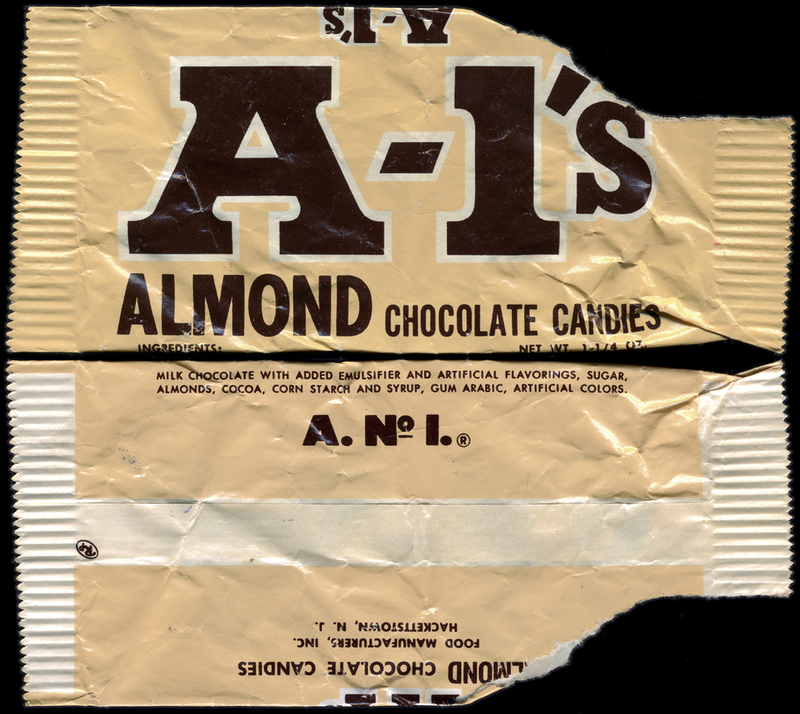 My first reaction was one of noting how brand names must sometimes drift over the decades: in the 50’s, A-1 was an almond candy, but as long as I had previously been aware, A-1 had only been the name of the steak sauce, and no other product. 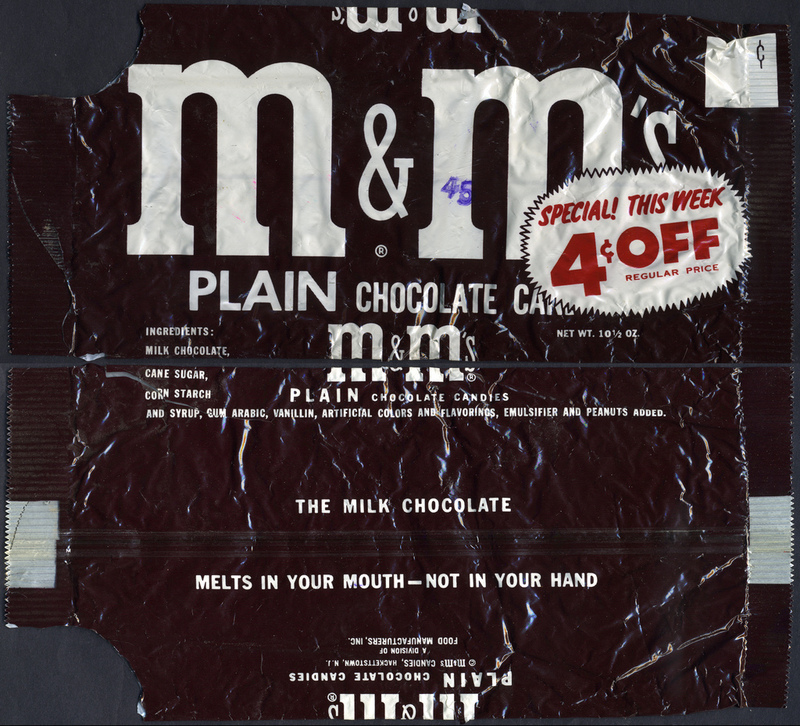 Upon more examination, these A-1’s seemed to be an obvious knock-off of M&M’s pack style and design. 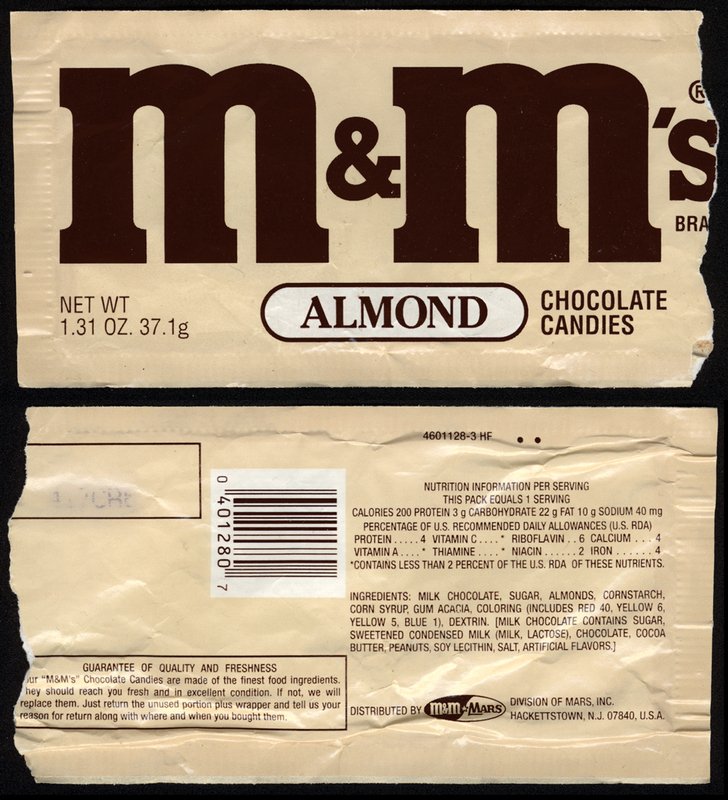 More than that, the package even sported the color scheme that M&M’s Almond would eventually have, when they’d be introduced, decades later. At the time, I’d never heard of “Food Manufacturers, Inc.” But the location of this company; Hackettstown, New Jersey – I’d heard of that – that’s where M&M-Mars was located! So, could it be that the generically-named “Food Manufacturers Inc” was some kind of confectionery house of clones? A few minutes of Googling turned up no answer. So I decided to consult the big gun of junk food academia, Andrew F. Smith; author of, among other things, The Encyclopedia of Junk Food and Fast Food. I had first become aware of Mr. Smith and his vast knowledge on these topics when we both appeared on the “Serial Cereals” episode of Food Network’s Heavyweights television show. Smith quickly sorted out the mystery of Food Manufacturers Inc. for me, and by doing so the mystery of A-1’s. It turned out the company listed was simply one of several names that M&M-Mars had used over the years. I also learned that the melodic name “Hawley and Hoops” was another that graced Mars’ products for a period of history, but that’s a story for another time. For a taste of confirmation, here’s a vintage M&M’s package, listing M&M’s Candies as a division of, you guessed it, Food Manufacturers. As I’ve learned more and more about the history of candy, I’m struck by the fact that many of the things I thought were “new”, had actually been done before. M&M’s Almond were not an innovation of the 1990’s, as I had long assumed. Instead, they were around years before I was even born, in the form of A-1’s. Here an early 90’s M&M’s Almond packages, to round out our look at this hearty M&M’s variant. 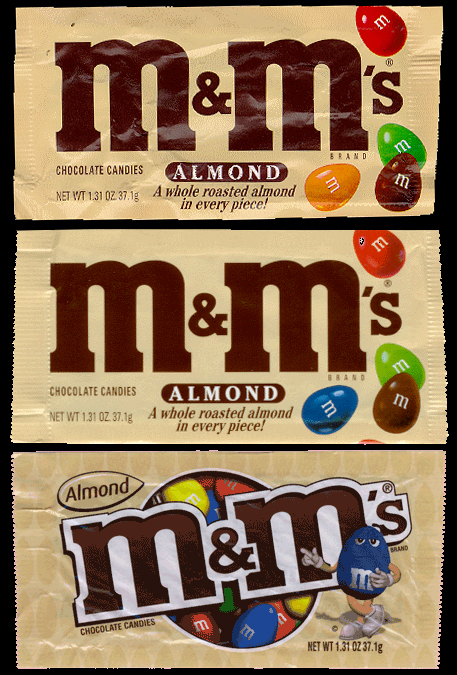 And finally, a trio of more recent M&M Almond packages, courtesy of fellow collector, Brad Kent. This entry was posted in M&M's, Uncategorized and tagged candy, chocolate, collectible, collecting, confection, M&M's 1960's 1990's, mascot, packaging, sweeets, vintage, wrapper. Bookmark the permalink.